Thinking of selling your home in the next year? Curious what market conditions are like in your area? The most important first step you can make in selling a house is calculating an accurate fair market value. Price your home too low and you may lose thousands. Price your home too high and you may price yourself out of the market and never sell your home. 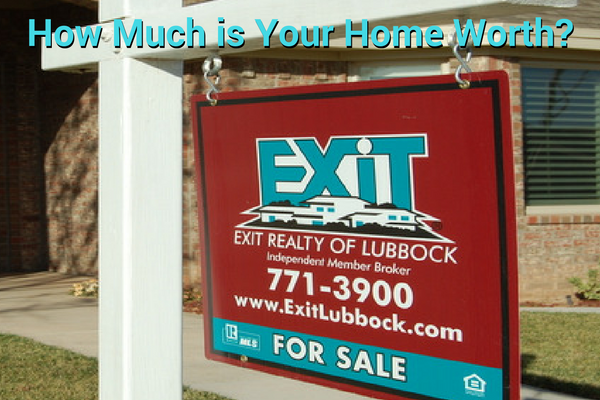 At EXIT Realty of Lubbock all of our agents are trained to prepare a Comparative Market Analysis (CMA). A CMA is an informal estimate of your home's market value compared to comparable homes in your neighborhood. Setting the right price from the start is among the most important steps toward successfully selling your home. Let us get you started in the right direction by completing the following information for a free comparative market analysis of your home.